For available parking, please CLICK HERE. Online Registration will close on Thursday, April 25 at 12:00 p.m.
Day of Group Warm-Up led by Charles Austin! "Self-coached, Charles Austin became an Olympic high jump gold medalist, the American (7′ 10 1/2″) and Olympic (7′ 10″) high jump record holder, two-time World Champion, and a nine-time national track and field high jump champion and 3 time Olympian. Charles was inducted into the USA Track & Field Hall of Fame in 2012. Total Body Board, a piece of multi-faceted fitness equipment. Charles has trained professional athletes such as NBA legends David Robinson, John Starks and Allan Houston." Join us for pre-run bib pick-up and walk-up registration on Friday, April 26 at Ready to Run 3:00 p.m. to 6:30 p.m. Come out and pick-up your bib early to skip the lines on event day and register anyone who missed online registration! 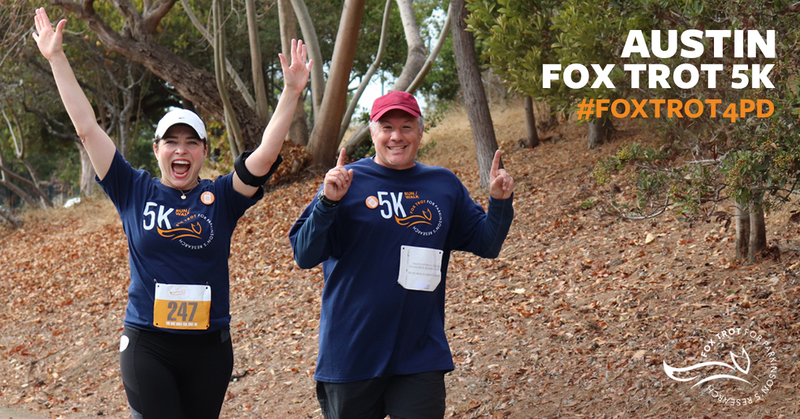 Raise $250 on your individual page (by April 25) - Receive an official Fox Trot 5K Baseball hat. Registration Start Time: 6:30 a.m.
Group Warm-Up led by Charles Austin: 7:20 a.m.
Run/Walk Start Time: 7:30 a.m.
You can also bring your Fox Trot running bib back at 4:00 pm to receive 50% off, a General Admission Ticket at the door.